One of the most influential and important jazz guitarists of the 20th century, Tal Farlow was truly a virtuoso. Interestingly, he didn't start playing guitar until he was in his 20s, and he was self-taught, inspired to play after hearing Charlie Christian's pioneering work. After making a name for himself with Buddy DeFranco, Artie Shaw, and the Red Norvo Trio, he eventually retired, citing his distaste for the music industry. He resurfaced at jazz festivals occasionally in the Sixties and finally began recording again for the Concord label in 1976. 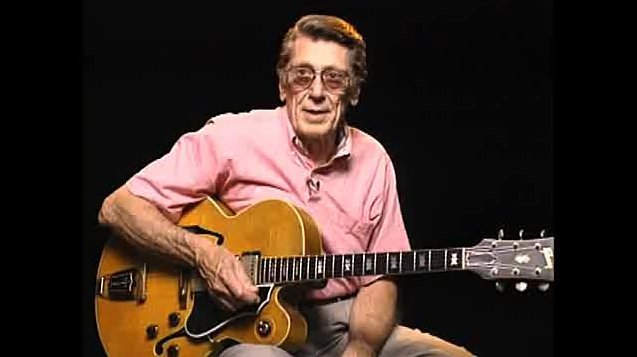 Along the way, Farlow's unorthodox technique, unusual chord voicings, and near impossible speed inspired fellow technical masters like Pat Martino and John McLaughlin. He passed away in 1998.